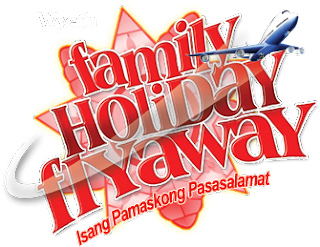 Wyeth Family Holiday Flyaway ~ Philippine Freebies, Promos, Contests and MORE! To appreciate and thank loyal consumers, Wyeth treats you to a Family Holiday Flyaway this coming season. A chance to fly to Hong Kong or Singapore is at stake. A simple purchase of any participating Wyeth product entitles you to one (1) raffle coupon. Fill in the coupon details and drop in drop boxes found in all participating stores nationwide and wait for your name to be drawn. Twenty (20) lucky winners nationwide will experience a 3 days & 2 nights Hong Kong trip with Disneyland tour for four (4) + P30,000 pocket money. Another twenty (20) gets to enjoy a 3 days & 2 nights Singapore trip with Universal Studios tour for four (4) + P30,000 pocket money.